Last year I mocked Twilight and the people who love it. Now? Well, my name is Big Apple Angie, and I’m…. a Twihard. Since last year’s impassioned anti-teen vampire rant, I’ve been dazzled by the Twilight saga. I read the first book en route to Hawaii for Thanksgiving last year, mulled it over for a few days while tooling around Kauai with my brother, then forced him to go see the movie with me one rainy Hawaiian afternoon. When I went to Florida for Christmas a few weeks later, I made a cosy little nook in my sister’s room with my old Papasan chair and some gauzy bed netting and devoured New Moon, Eclipse and Breaking Dawn in about a week. Now, in an abrupt departure from my former position on angsty teen vampire love, I have an "I heart boys who sparkle" sticker at my desk and a "Vampires? I know, right?!" T-shirt that I wear to bed sometimes. 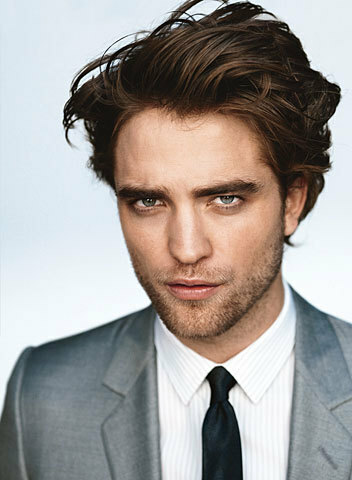 When RaeRae was visiting this summer, Robert Pattinson was shooting a movie in Central Park. To surprise her one day, I said we were going to lunch when really we were off to stalk R-Patz in all his vampire glory. GLORY. Even though I told Rae I’d smack her if she squealed or cried when he came out, even I had to suppress my inner Bella Swan to hold it together when he alighted all sparkly and supernatural from his trailer. Fortunately my whole family is in on the obsession at this point – Mom, because she’s read all the books, and Dad and Hodgie because they’ve been forced to watch Twilight so many times on DVD. When my plane lands in Jacksonville on Saturday afternoon, we're not dropping off my luggage at home or enjoying a long awaited family dinner. We’re driving vampire-style in Mom’s shiny Volvo Prius straight to the movie theater to see New Moon. Yay! 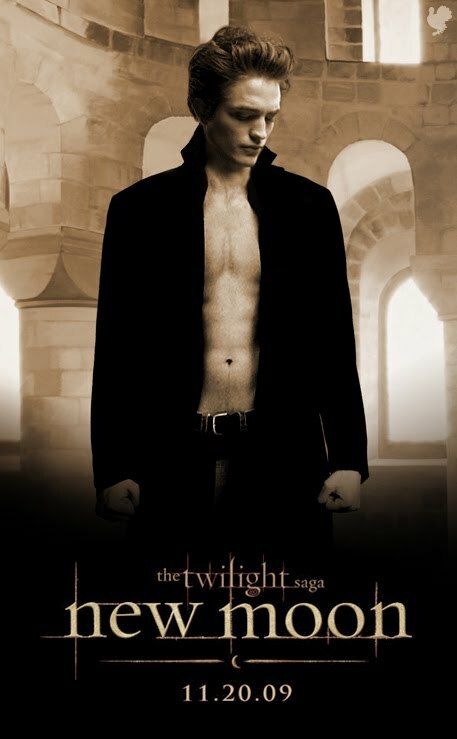 You've come to the dark side & become a Twihard. Naturally, I'm excited. :) Planning on seeing New Moon this Sun...and then again with my sister over Thanksgiving.